An early start and a long walk to fish some out-of-the-way River Wye. 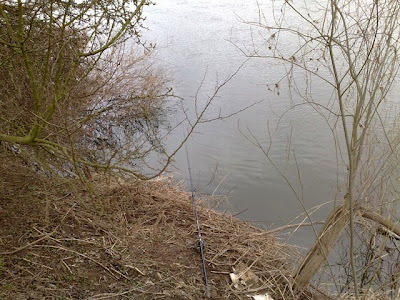 I started with a float fished bleak and my first cast must have landed in the mouth of a yawning pike as the float went down instantly, resulting in a 3lb pike. I then followed this with a 7 pounder, again on float fished bleak, while Roger persevered with float fished sprats. I went to convince Roger that Wye pike don't eat sprats and he should switch to bleak when his float bobbed and went down - a 4lb pike convinced him otherwise. The perfect looking pike swim? Despite some of the best looking pike swims I have ever seen the action dried up so we headed for another out of the way swim we had caught pike from in the past. I switched to sprats and had a pike about 8lb and Roger swapped to bleak and had a pike of about 3lb. While we were fishing I noticed a tiny little slack piece of water and pushed my way through the trees and bushes to put a bait in it (John Wilson would have been proud). Not enough room to swing a sprat. 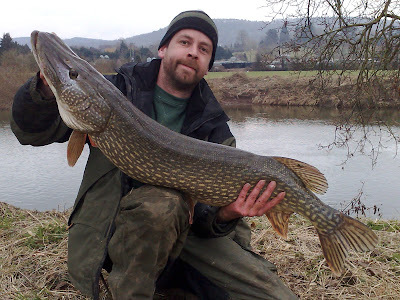 I cast out a float fished bleak and about 10 minutes later was rewarded with a 2lb pike. The most difficult part of this was getting the net through the undergrowth to net it, Roger made a rather comical success of it. Next I tried a sprat. 20 minutes later the float bobbed and gently slid across the surface, I struck and realised I was connected to something special. The fight was short as the swim was about the size of a snooker table, 3 powerful runs trying to get under the bushes before Roger expertly swept it into the net. 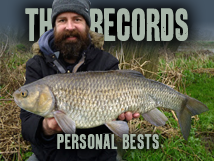 The scales rested on 25lb 4oz, a new personal best, both myself and Roger were delighted. I tried the swim again for about 30 minutes but no action and it was time to move. We then decided to move back to the water we had been fishing yesterday, we had a number of fish to 10lb on bleak and plugs before we arrived at the Stones. A rather dirty 11lb 4oz pike. We fished the Stones, where I caught my 10th pike, a personal best number of pike in a day. 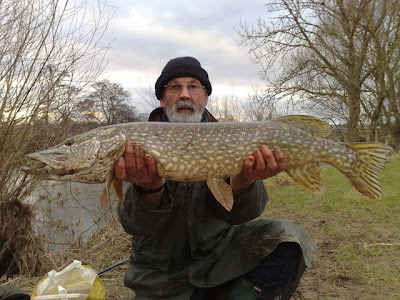 Roger was soon in the action taking 3 pike including 2 doubles to 11lb 4oz all on float fished bleak. We fished until about 6pm before heading off for a pint and roast beef, what a day! What an absolute corker mate, a stunning looking fish - well done!! 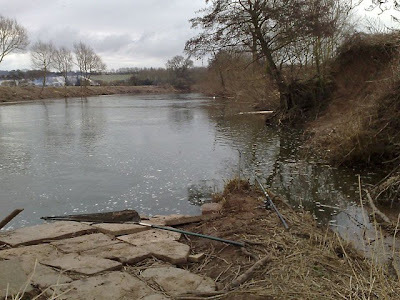 By-the-way, how were you managing to catch the bleak in these conditions - were you float fishing or feeder fishing...? I've found the best way to get bleak is to cadge a few from the course anglers the afternoon before I go fishing. Also you can catch them in the summer and freeze them, if you wrap them individually they look pretty good when you defrost them. Great fish.....i know those spots intimately.....i live in ross and belong to the RAC. I have a salmon ticket so i fish that stretch of water all year long. Those stones at wierend have produced alot of big pike for me. Im a lure fisherman and hardly ever fish with deadbaits but i have given it a try on the odd occasion. Looks like you have done very well there yourself. Would be nice to bump into you one day when you fishing that stretch again.